Built for durability the HSU provides long lasting endurance. It features a safety orange steel frame with commercial grade Neoprene rubber blade. 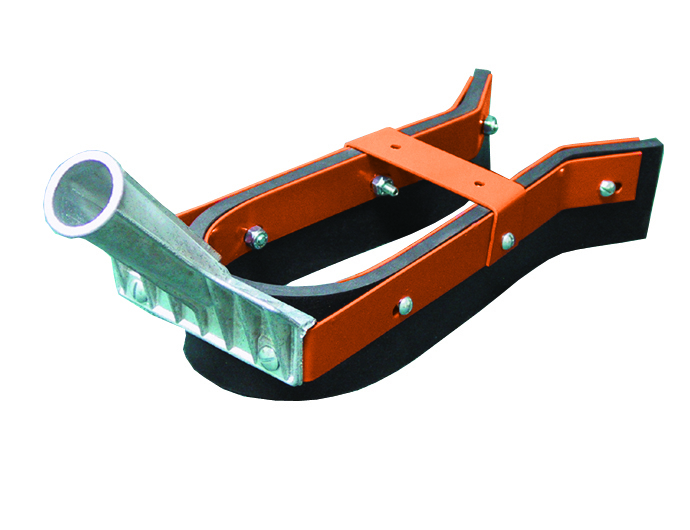 The 9-1/2” deep U-shaped cavity holds ample material and the center steel brace provides additional strength. The Neoprene blade can be used for hot or cold applications. Hot applications should be used intermittantly for limited amounts of time.